It’s funny I run into two types of people in dog training. And people who have little to no expectations of their dog outside what they consider “dog training” or basic house manners. People think that if they can get their dog to “sit” for his food or for a treat is completely “trained” to sit no matter what. They can’t imagine getting their dog to sit instead of jumping, or sit instead of nipping at them, would work. But sitting is an incompatible behavior to jumping. Your dog cannot do both! So when my dogs want to jump, I ask them to sit or lay down instead, because I know he can’t do both and because I am dedicated to training and he is used to listening he is more likely to sit and listen to my commands. If your dog can’t sit under all circumstances, when there are other people around, when there are other dogs around, when a squirrel runs past, when they are barking, etc. then he isn’t really trained is he? NO! If he doesn’t perform 95% of the time under any distraction or circumstances then he is not trained to sit! Lay on your stomach and command him to sit. Did he do it? Chances are most dogs fail the first test. Because we have never raised our expectations of them. 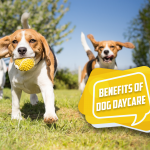 We teach them to sit conditionally, when they are on leash and in front of us, or for their dinner, or for a treat. But we don’t teach them to sit no matter what! 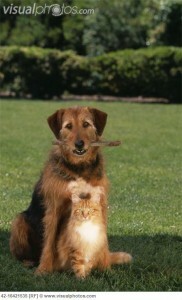 In order to teach your dog to meet higher expectations you must teach him under many different kinds of circumstances. And, a dog can’t and won’t sit when people come over to visit unless you actually train him and teach him to do that under that kind of distraction. You can’t tell your dog to stop chasing a cat, or a deer, or a squirrel, or a golf cart and expect him to do so, unless you put him on a leash and train under this kind of distraction. Guide and Service Dogs ignore ALL distractions while they are in public. They can be stepped on, ran into, they have to watch other dogs and people and animals pass, and they are still expected to work! Because they have been TRAINED TO DO SO in all of these situations. Guide Dog trainers take them out in all kinds of situations and scenarios and teach them sit, down, stay and all of their commands in these distracting environments. Don’t think your dog is not capable to do so simply because you haven’t taught him. He is capable, he just needs to be taught in many situations and environments to do so. You must be consistent and patient with your training and understand that it takes a great deal of time. Laying on his bed when people come over, or laying down and ignoring deer run past takes a long time and persistent training! You actually train your dog around deer? 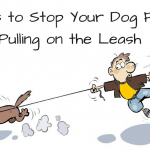 I can’t take my dogs off leash unless I can trust them and their off leash obedience, and in order to do that… I must train them ON LEASH under many kinds of different distractions. I live in the country, so I can wait until I see deer in my yard, leash my dogs and go out and train. But I have also been known to hop out of the truck when I see a herd in an area I can train on leash. Yes, they run. But by showing my dog the picture of them running and then controlling his behavior by using a leash and working with him, he learns he can ignore HUGE distractions like this (horses or cattle safely behind a fence can also work in a pinch). But if I never show my dog this picture, how can I expect him to deny all of his instincts and ignore a running animal? He must still be able to sit, down, stay, give me eye contact, come when called all while facing the deer or whatever distraction we are working on together. I don’t go from teaching my dog sit in the house to looking for running deer next. 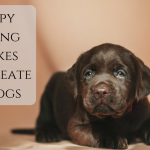 Start small, by teaching your dog at home. Then add small distractions slowly. You can’t expect to go from basic training to intricate training and high expectations. 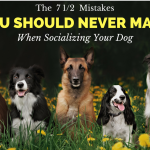 If your dog ignores your commands when your cat runs through the room then he is not ready to go out and about and be around a lot of other animals. Once my dog ignores my cats, I can move outside to other distractions like animals or bikes or golf carts. 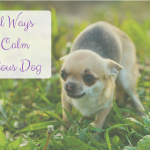 Find a place where there are lots of golf carts, a skate park, a dog park, a farm or somewhere that you can train outside of and still have your dog sit, down, give you eye contact and focus, stay, etc. 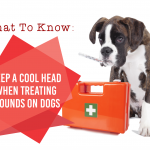 If it is too much for your dog, you may have to go further away. Make sure that your reward is greater than your distraction this will better ensure your success. 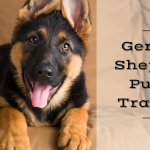 You may have to take a step back in your training, and help your dog to sit or lay down while there are other exciting things going on he doesn’t always understand when you generalize a command. 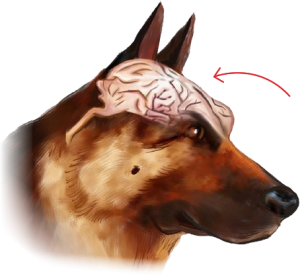 If you want a well-trained dog that doesn’t jump on people, doesn’t chase cats, deer, or other animals, doesn’t chase golf carts, skaters, or other things on wheels, then you have to train for it specifically, by first teaching your dog obedient behavior and then exposing them to distractions slowly working up to the distraction you are having trouble with! It takes time! 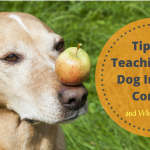 This isn’t something that comes in a week or two, it can take months or years of consistent and constant training to teach your dog to ignore any distraction (think on the level of training as a Guide Dog)! Don’t think just because your dog sits when you have a treat means that he will sit no matter what. But, don’t think he is incapable of listening to you no matter what the distraction, provided you have trained him to do so! My dog now is 11/2 years old, he has learned most of the easy things now, but now he is bored and will not listen even when I call his name, what gives, how can you help me? I am at the point of giving him up, he is a good dog, things are going bad. You’re not fun enough! You have to make yourself fun by playing with him or using his meal time to make him work. If he is hungry he will work for you. And, if you teach him to play he will play for you too. Of course there is the table, the counters, and the floor, many places where you could sit but we generally understand sit as sit on a chair. That helped me imagine why my dog wouldn’t sit down on the grass after being trained to sit in my living room. It made sense and led me to be more patient and teach sit all over town. Thank you very much. Living in the country, our 2 dogs killed off our cats. 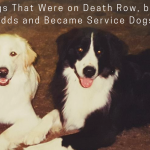 We killed the dogs after they started biting people because of our own ignorance. Now we have a St. Bernard that is mouthing cats (yes we have other cats again) and nipping people. I admit that this notion of dogs being vampires is also ingrained & will take time to relearn. Hopefully the trainers still have time to learn 🙂 before the trainee gets killed again. I have done some of your training with her (St. Bernard) and like the results. Thanks again. My maltipoo Stu has an issue that i would like to fix. I have around 2 dozen free range chickens and i cant take him out with me leashless because he oves to chase and mouth the poor chickens. Then when i approach him he starts to play and run. I am currently training him to chase me when i run away but he likes playing with the poor hens more at the moment. How can i teach him not to touch/chase my farm foul? Put him on a leash and make him do what you want like a down stay. But you must teach him, he doesn’t come hard wired knowing to lay down when the chickens are out.